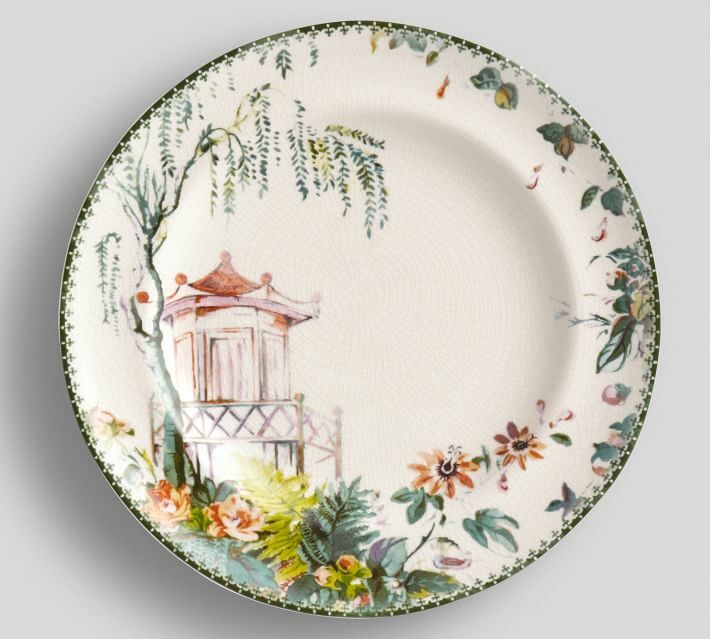 For me the best piece in the collection is the salad plates since that would allow me to mix with all of the fabulous Blue Willow dishes I already own. I just love the details and the brush strokes and, of course, the pink pagoda. Don't you love? 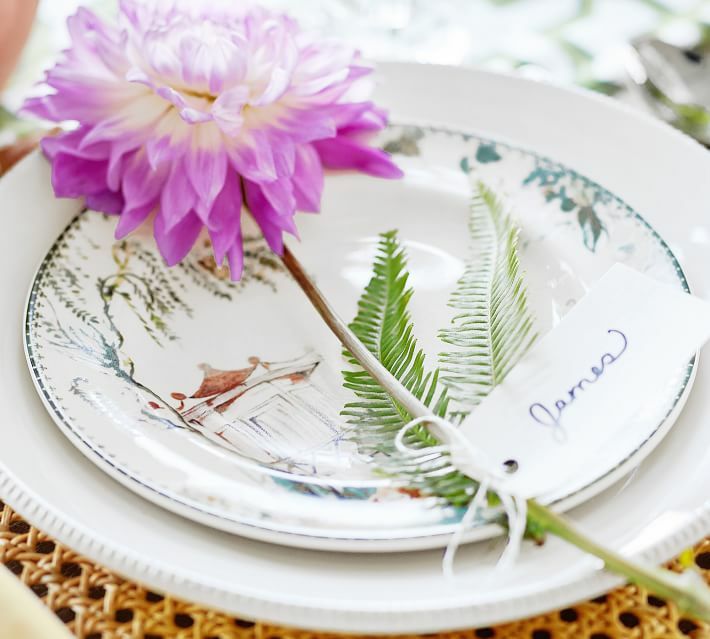 I am really in love with so many of the items from the new tabletop collection ... I mean these cane chargers and real bamboo flatware are definitely high on my list. We have so many amazing blue and white plates or I would have purchased these plates as well. The dishes are truly beautiful and I love the price of the set is so affordable. And can we talk about these darling monkeys? 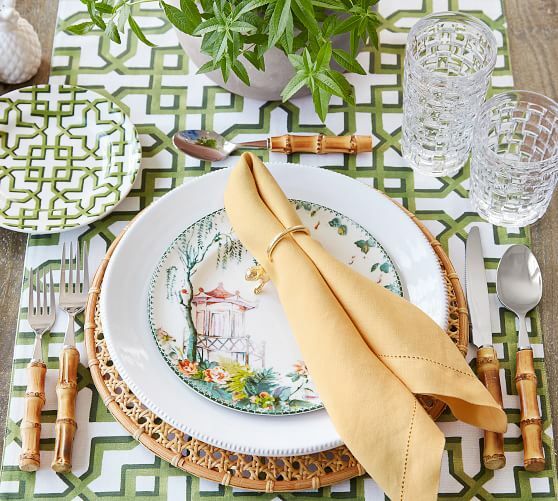 So many have asked that I share where I find my table linens and I will confess most of them are vintage but I do scour both Pottery Barn and Williams Sonoma as they always have great options. At the moment I love this cloth and this runner and think they would make an amazing table if paired together. I have linked every single thing I feel in love with on the site and will share again that the stock up sale ends tonight. With this sale the more you buy the more you save ... up to 30% off. That is an amazing deal and the perfect time to add some new dishes to your collection.